Following on from 2015 when almost all of their ocean territory was designated a marine protected zone, President Tommy E. Remengesau, Jr., of the Republic of Palau, signed The Responsible Tourism Education Act of 2018 (Senate Bill No. 10-135, SD1, HD1) into law. This new law is part of the Palau Responsible Tourism Policy Framework which states tourists must “become part of the solution to the environmental challenges in our pristine paradise.”. 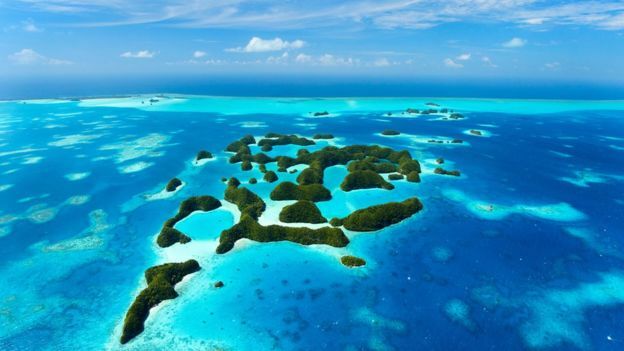 The law passed by Palau banning 10 different chemicals is thus far the most comprehensive of any country implementing similar bans these include Hawaii, the island of Bonaire in the Caribbean and Mexico which has banned sunscreen in nature reserves. One of the most important chemicals facing the ban is Oxybenzone, which over a dozen scientific papers have demonstrated is highly toxic to marine life, especially coral. It not only causes corals to become more susceptible to coral bleaching, but it damages the DNA of coral and will deform and kill juvenile coral. Oxybenzone has also been documented to turn adult male fish into female fish and cause developmental defects. Oxybenzone is toxic to shrimp, sea urchins, and bivalves (e.g., scallops, mussels), and is especially toxic to marine algae.